An ongoing thread of posts here is concerned with organizational causes of large technology failures. The driving idea is that failures, accidents, and disasters usually have a dimension of organizational causation behind them. The corporation, research office, shop floor, supervisory system, intra-organizational information flow, and other social elements often play a key role in the occurrence of a gas plant fire, a nuclear power plant malfunction, or a military disaster. There is a tendency to look first and foremost for one or more individuals who made a mistake in order to explain the occurrence of an accident or technology failure; but researchers such as Perrow, Vaughan, Tierney, and Hopkins have demonstrated in detail the importance of broadening the lens to seek out the social and organizational background of an accident. It seems important to distinguish between system flaws and organizational dysfunction in considering all of the kinds of accidents mentioned here. We might specify system safety along these lines. Any complex process has the potential for malfunction. Good system design means creating a flow of events and processes that make accidents inherently less likely. 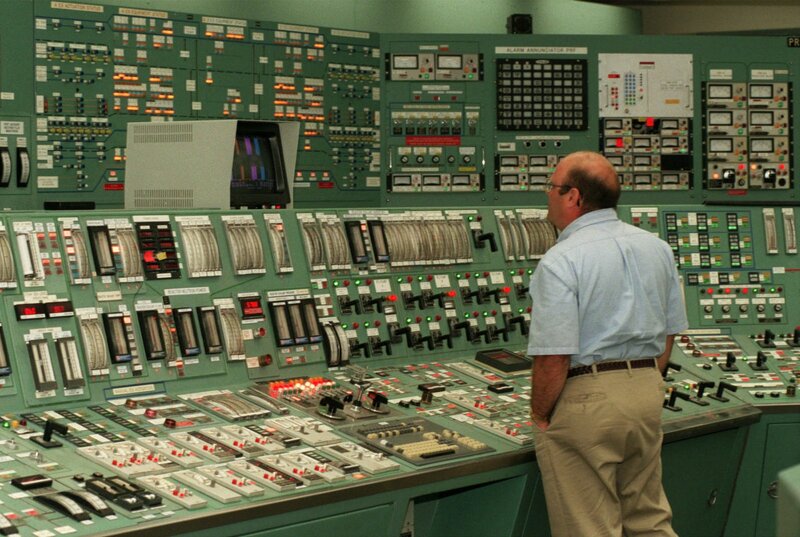 Part of the task of the designer and engineer is to identify chief sources of harm inherent in the process -- release of energy, contamination of food or drugs, unplanned fission in a nuclear plant -- and design fail-safe processes so that these events are as unlikely as possible. Further, given the complexity of contemporary technology systems it is critical to attempt to anticipate unintended interactions among subsystems -- each of which is functioning correctly but that lead to disaster in unusual but possible interaction scenarios. In a nuclear processing plant, for example, there is the hazard of radioactive materials being brought into proximity with each other in a way that creates unintended critical mass. Jim Mahaffey's Atomic Accidents: A History of Nuclear Meltdowns and Disasters: From the Ozark Mountains to Fukushima offers numerous examples of such unintended events, from the careless handling of plutonium scrap in a machining process to the transfer of a fissionable liquid from a vessel of one shape to another. We might try to handle these risks as an organizational problem: more and better training for operatives about the importance of handling nuclear materials according to established protocols, and effective supervision and oversight to ensure that the protocols are observed on a regular basis. But it is also possible to design the material processes within a nuclear plant in a way that makes unintended criticality virtually impossible -- for example, by storing radioactive solutions in containers that simply cannot be brought into close proximity with each other. Nancy Leveson is a national expert on defining and applying principles of system safety. Her book Engineering a Safer World: Systems Thinking Applied to Safety is a thorough treatment of her thinking about this subject. She offers a handful of compelling reasons for believing that safety is a system-level characteristic that requires a systems approach: the fast pace of technological change, reduced ability to learn from experience, the changing nature of accidents, new types of hazards, increasing complexity and coupling, decreasing tolerance for single accidents, difficulty in selecting priorities and making tradeoffs , more complex relationships between humans and automation, and changing regulatory and public view of safety (kl 130 ff.). Particularly important in this list is the comment about complexity and coupling: "The operation of some systems is so complex that it defies the understanding of all but a few experts, and sometimes even they have incomplete information about the system's potential behavior" (kl 137). Here Leveson mixes system design and organizational dysfunctions as system-level causes of accidents. But much of her work in this book and her earlier Safeware: System Safety and Computers gives extensive attention to the design faults and component interactions that lead to accidents -- what we might call system safety in the narrow or technical sense. Overall, then, it seems clear that Leveson believes that both organizational features and technical system characteristics are part of the systems that created the possibility for accidents like Bhopal, Fukushima, and Three Mile Island. Her own accident model designed to help identify causes of accidents, STAMP (Systems-Theoretic Accident Model and Processes) emphasizes both kinds of system properties. Leveson's brief analysis of the Bhopal disaster in 1984 (kl 384 ff.) emphasizes the organizational dysfunctions that led to the accident -- and that were completely ignored by the Indian state's accident investigation of the accident: out-of-service gauges, alarm deficiencies, inadequate response to prior safety audits, shortage of oxygen masks, failure to inform the police or surrounding community of the accident, and an environment of cost cutting that impaired maintenance and staffing. "When all the factors, including indirect and systemic ones, are considered, it becomes clear that the maintenance worker was, in fact, only a minor and somewhat irrelevant player in the loss. Instead, degradation in the safety margin occurred over time and without any particular single decision to do so but simply as a series of decisions that moved the plant slowly toward a situation where any slight error would lead to a major accident" (kl 447). Your impressive and unique content amazed me. You have written perfect piece. Thanks for sharing this with all of us.